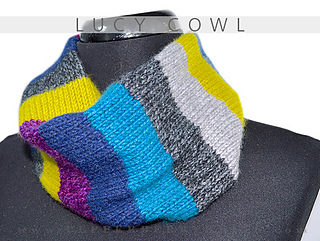 The Lucy Cowl is a fast and fun knit. 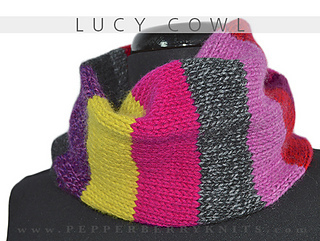 Knit up in our Lux Adorna Knits Fun Size Bundle makes this accessory a crazy fun pop of color! 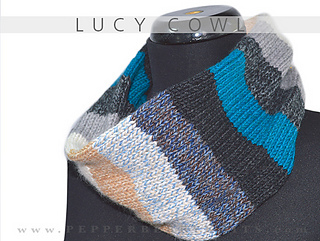 The Lucy Cowl is knit in the round. Choose whichever method of knitting in the round that is comfortable to you. Use scrap yarn for the provisional CO. There is no need to weave in ends when you change colors for the stripes. To change colors cut the working yarn leaving a 2” tail. Using a square knot, tie the new yarn color to the tail snugly behind your last worked st. Start knitting with the new yarn. You will work every color twice. Check your gauge. If not, you run the risk of not having enough yarn to do the second set of 10 stripes. We would love to see your projects! 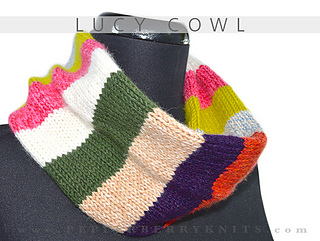 Join our ravelry group and share your Lucy Cowl projects.